Delivers 17 Highway MPG and 13 City MPG! This Toyota Tundra 4WD has a trusty Regular Unleaded V-8 5.7 L/346 engine powering this Automatic transmission. *This Toyota Tundra 4WD Is Competitively Priced with These Options *SR5 UPGRADE PACKAGE -inc: front center console w/3 cupholders and replaces standard equipment column shifter w/floor mounted urethane shift lever and knob, Urethane Tilt/Telescopic Steering Wheel, Anti-Theft Immobilizer w/Alarm, Front Bucket Seats, 8-way power-adjustable driver's seat w/power lumbar support and 4-way manual adjustable front passenger seat, 38 Gallon Fuel Tank Capacity, CONVENIENCE PACKAGE -inc: Color-Keyed Rear Bumper, Blind Spot Monitor w/Rear Cross Traffic Alert, Front & Rear Parking Assist Sonar , SPRAY-ON BEDLINER. 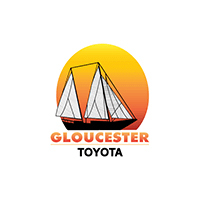 * Stop By Today *A short visit to Gloucester Toyota located at 6357 George Washington Highway, Gloucester, VA 23061 can get you a trustworthy Tundra 4WD today! Scores 17 Highway MPG and 13 City MPG! This Toyota Tundra 4WD has a trusty Regular Unleaded V-8 5.7 L/346 engine powering this Automatic transmission. * Stop By Today *For a must-own Toyota Tundra 4WD come see us at Gloucester Toyota, 6357 George Washington Highway, Gloucester, VA 23061. Just minutes away!